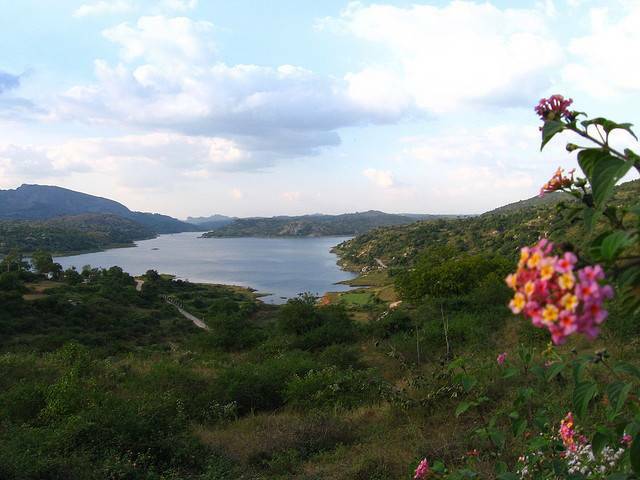 Manchinbele/Manchanabele Dam is situated about 40Km from Bangalore. Its made on the Arkavathi river and the basic purpose of its construction was irrigation and water for the Magadi town. With the Savanadurga mountain in the backdrop it offers scenic views and a quick getaway from the hustle and bustle of the city. One can do some activities such as kayaking, ziplining, trekking, etc., but swimming is not recommended here. Access to the bank of the Dam is restricted and there is no easy way to reach near water.